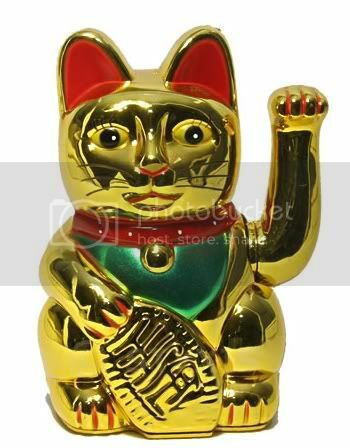 Today I received a package from the “Japan fine foods shop” so that a pretty little kitsch Japanese lucky cat, or Maneki Neko, now waves her paw in my room, day and night. Ok, its not really THAT small and the waving of her hand is so loud that at least at night I’ll have to remove the batteries from her golden belly. But she’s so pretty, I’m in love! And since it was so gloomy, rainy and cold outside today, I had to colour-up my dark outfit at least a bit. 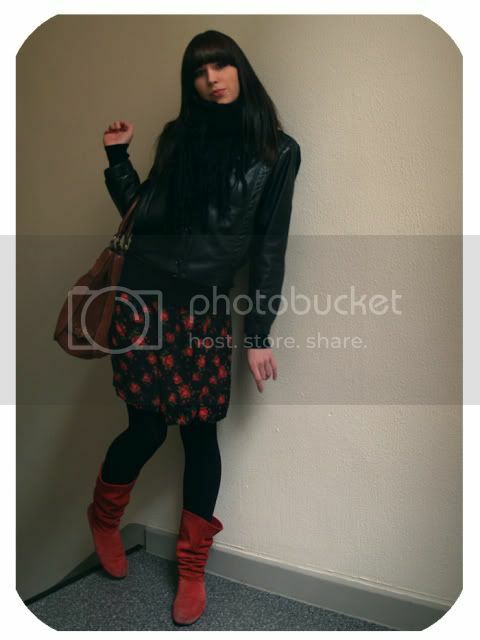 My selfmade summer-dress with the red-roses pattern plus my favourite pair of suede leather boots in the same red tried to accomplish this and – in my opinion – succeeded with it pretty nicely.